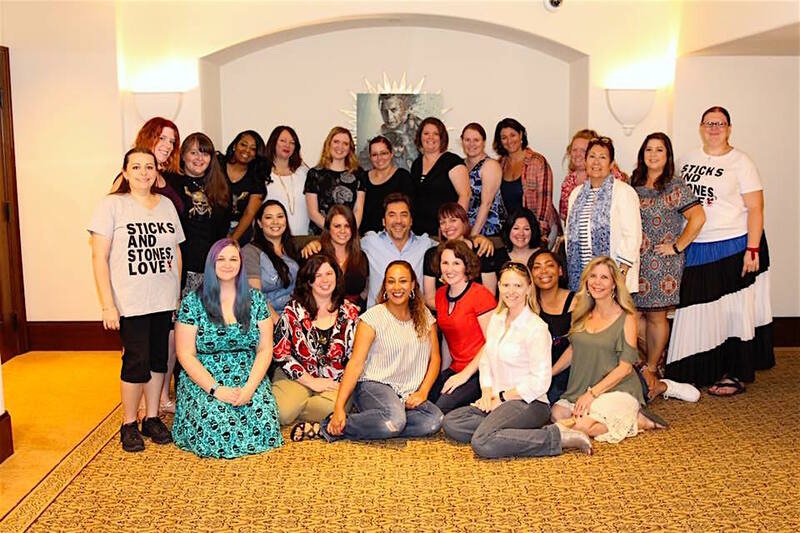 I attended a film junket with Disney who provided all of my expenses. 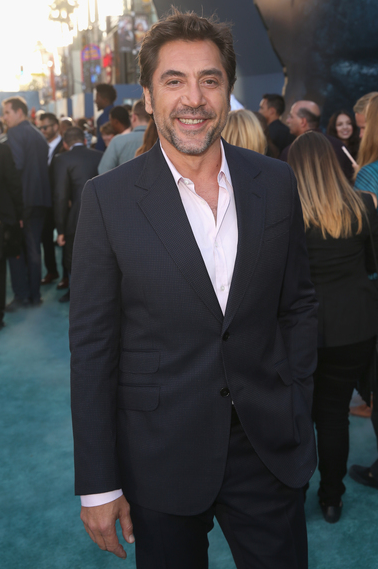 The room lit up when Javier Bardem walked into the room. He walked in to a robust applause from our group and his personality definitely met that enthusiasm. 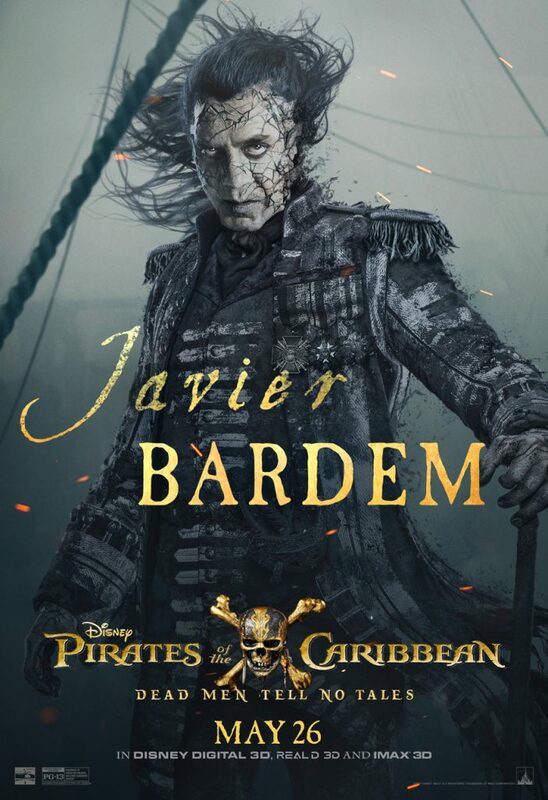 Bardem plays “Captain Salazar” in Disney’s new film Pirates of the Caribbean: Dead Men Tell No Tales. 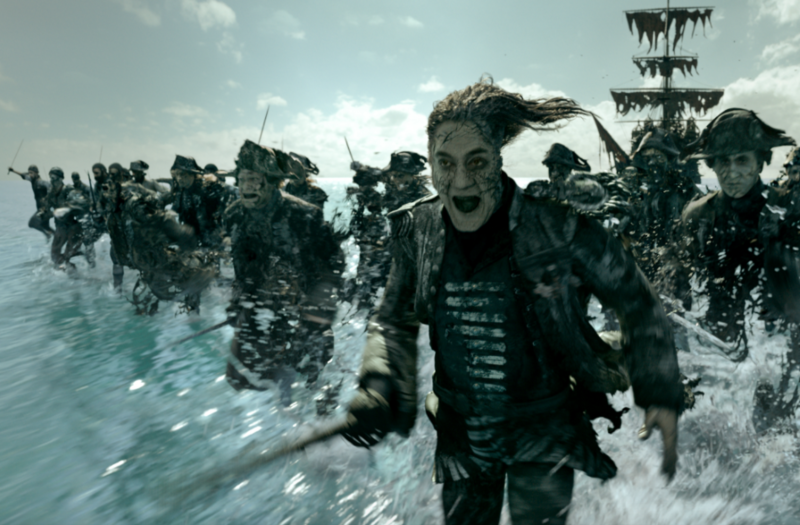 He seeks revenge on pirates – specifically one – Jack Sparrow. Talking with him you could tell he is a kid at heart and had a lot of fun and passion working on this film. There was so much laughter during this interview. Q: You portray such strong emotions in the movie – was it difficult to show that in your face because of all the makeup? Q: What was that black goo spewing from your mouth during the film? Q: What was it like working with Johnny Depp? Q: Did you pull any inspiration from previous villain roles? Q: I understand you are an accomplished artist. Do you ever go home after filming and paint what you saw or something that inspired you during the filming process? Q: We know you like to play rugby. How do you relate rugby to film work? Q: Did you get to see any of the film before it came out? A: I was working a little bit in the darkness so I couldn’t really tell what the film would look like. Most of the shots were done in the studio except one scene which was at Whitehaven Beach in Australia.